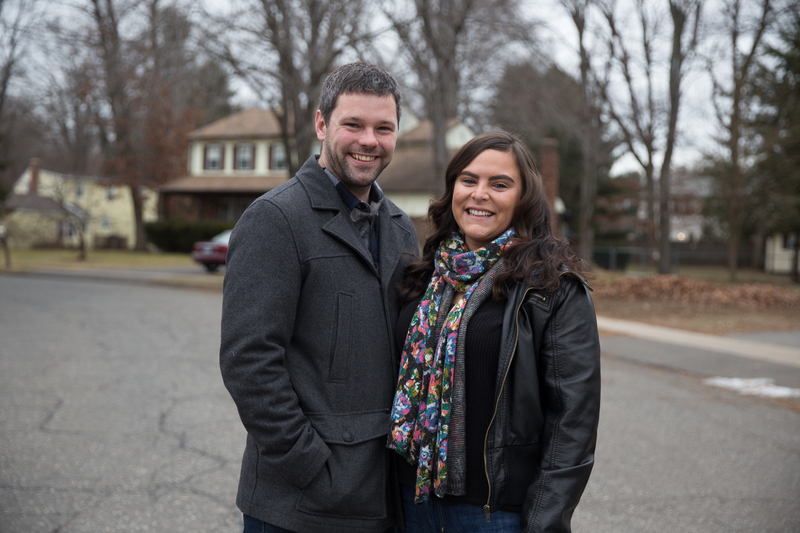 The Burkes – Rob and Chrissy – want to buy a home. On the surface, their home-ownership goals are pretty standard. They want something in the $250,000 range. They’d consider buying a two-family house; they’d live in one unit and rent the other while they socked away enough money for a single family home. But they’re adamant about something on their wish list that makes house-hunting challenging. They want to live in a diverse town where they can raise children among families from different ethnicities, incomes, and religions. In New England, that’s not so easy to find. New England is one of the least racially-diverse regions in the country. Roughly 84 percent of its residents identify as white. A 2010 Census report said that of the six states in the region, Maine, Vermont, and New Hampshire each boasted populations that were at least 96 percent white. In recent years, demographics have shifted, but only slightly. Maine’s population is 94.9 percent white; Vermont’s is 94.8 percent white, and New Hampshire’s is 93.9 percent white. The Northeast is predominantly (65 percent) Christian, and heavily (30 percent) Roman Catholic, according to the Pew Research Center. So in January, after doing some research on their own, the Burkes asked for suggestions. Once word got out, the suggestions came at a pretty good clip. Within three weeks, more than 100 people had sent in their suggestions for a diverse and affordable place. The list included Danbury (one of the most diverse towns in the nation); Middletown (where several residents even sent photos of houses for sale in their neighborhood), and Glastonbury (where the Burkes’ “future kids,” as Chrissy calls them “will be exposed to great learning and diversity through activities and missions” at a local church). Some suggestions were quite specific, like the Whitneyville section of Hamden, or the north end of Hartford, with its Puerto Ricans, Dominicans, Guyanese, African Americans, straights, gays, working- and middle class folks. Three people wrote about the Forest Park section of Manchester, with its bustling downtown and the library that’s a short walk away. By far, Middletown received the most endorsements, with descriptions such as “totally affordable,” “diverse,” “awesome,” “vibrant,” “bars within staggering distance, and any type of ethnic food, delivered. The Burkes passed the information on to friends who are looking to settle in Middletown. Manchester had some support, and the Burkes liked it because of the variety of restaurants, and its stock of multifamily housing. And then there was Windsor, Connecticut’s first town. LeighAnnTyson, a special educator, was born and raised there, and says it is “the only place I’d raise my daughter,” a seventh-grader. Tyson thought the Burkes might be interested because “Windsor pretty much provides a highly realistic representation of the real world. Many Windsor grads who visit after their first semester of college come to tell us how appreciative they are of their Windsor upbringing and school experience. They’ve invariably met people who’d never even met a ‘fill in the blank’ person, let alone had to live with them. “My daughter knows, sees, gets and experiences every skin color, ethnicity, orientation, faith. If she doesn’t know/understand, she asks, versus my young cousin, who, many years ago, was a high school student preparing for a trip to New York City from Alabama. Her honest, heartfelt question to me? ‘Do Jews really wear hats to cover the horns on their heads?’ Pretty much, that’s why” Windsor. Bill Howe, who teaches who teaches multicultural education at Albertus Magnus College, Quinnipiac University, and the University of Connecticut, sent the couple a link to a state Department of Education website that’s a treasure trove of statistics about Connecticut schools. Chrissy Burke poured over those numbers, and Windsor looked particularly appealing, Chrissy said, with a healthy mix of Asian, Hispanic, African American, and white students. Then, too, the town’s Montessori school appealed to her, as well. Once she started looking at the state’s website, she eliminated towns where schools looked segregated, where there appeared to be little diversity. The response from all these people they’ve never met was gratifying, the Burkes said. When they’d asked for suggestions, Rob was working in Stratford, Conn., as a lab technician, and Chrissy was attending nursing school at University of Connecticut. They considered anywhere between Stratford and the Hartford area. But now Rob is pursing a career as a flight engineer instructor at Westover Air Reserve Base in Chicopee, Mass., and so their geographic focus has narrowed. Chrissy Burke will be finished with nursing school in December, and she’s planning to apply for work at Baystate Medical Center in Springfield, Mass., or at St. Francis Hospital and Medical Center or Hartford Hospital in Hartford. 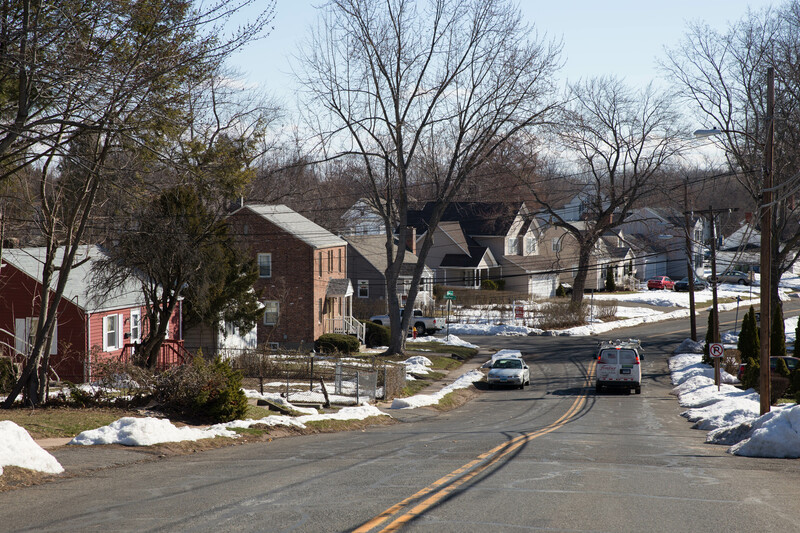 Because their family is in the East Hartford area, they’d prefer to stay in Connecticut. They’ve applied to be pre-qualified for a mortgage, which means, as Rob Burke explains it, once they find a house and it passes inspection, they’ll have their mortgage already in place. They intend to contact Tyson shortly, and get the lay of the land. For now, for them, Windsor looks like home.